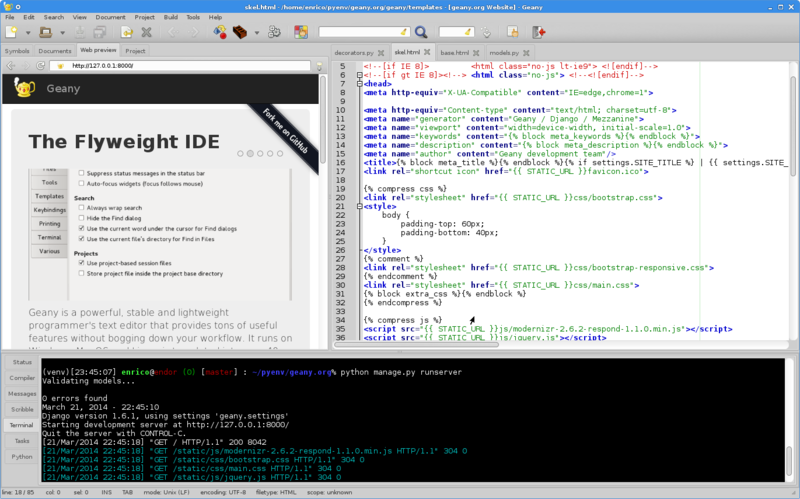 A lightweight, fast and yet powerful text editor. 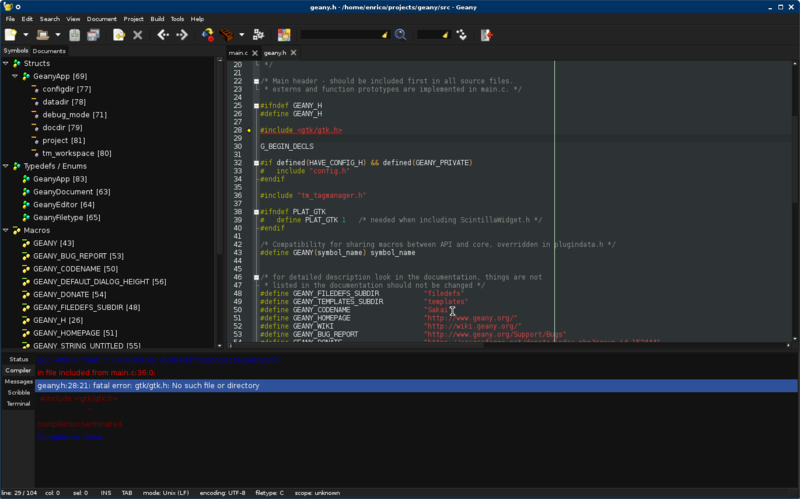 One of the primary reasons for Geany's existence is that there is a need for a decent, GUI, lightweight, cross-platform, flexible and powerful IDE/editor. Many editors meet one or more of these requirements but fall short on others. Geany attempts to hit the sweet spot. 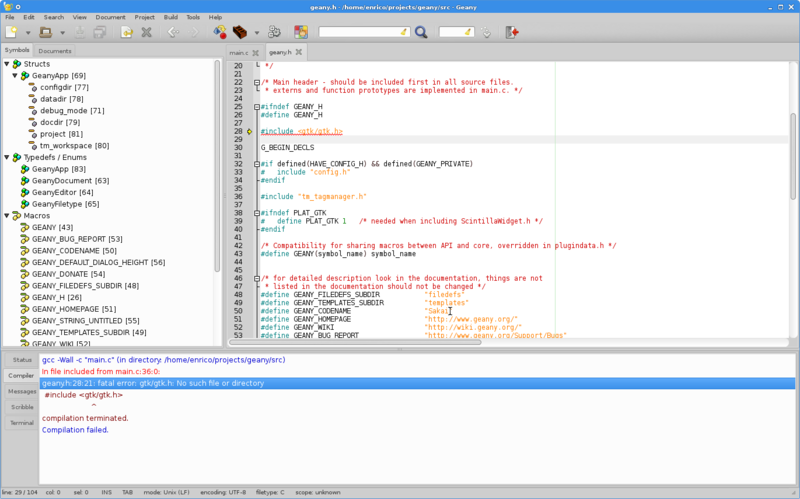 Geany offers to build and run your currently edited source code with just one mouse click or key press. For most interpreted programming languages you can check the syntax with just one click or key press before executing it. For more complex projects, Geany can utilize external build systems like Make, Autotools, Cmake and many more to assist you in building your software. Geany not only has an extensive User Manual but also has a crowd-sourced Wiki and full Plugin API Documentation. Not satisfied? Hit us up on the Mailing Lists or IRC and we'll get you on track. Geany is known to run under Linux, FreeBSD, NetBSD, OpenBSD, MacOS X, AIX v5.3, Solaris Express and Windows. 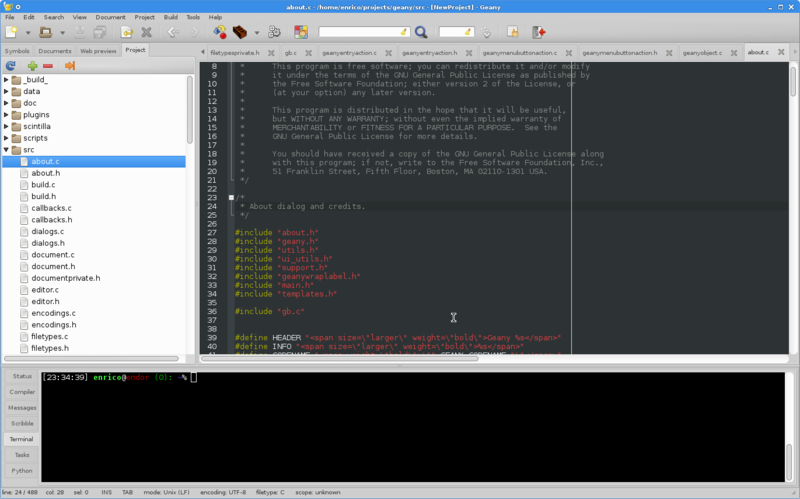 More generally, it should run on every platform, which is supported by the GTK libraries. Only the Windows port of Geany is missing some features. 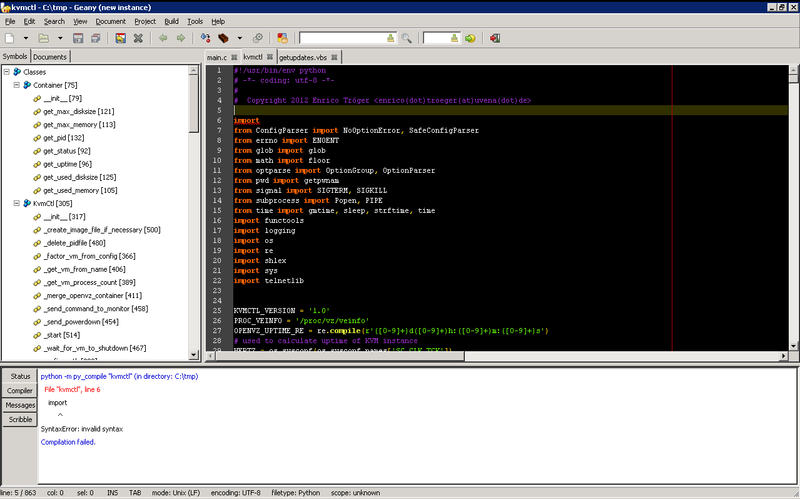 Many parts of Geany are heavily customizable like color themes (Geany Themes project) or adding new filetypes. Furthermore, Geany provides many settings to let you adjust it to your needs and preferences. Geany got a basic plugin system so users can get more features into Geany and developers can easily add new features and/or improve existing ones. You can develop your own plugin in C, Lua or Python and get help on the mailing lists, IRC and the API reference. A comprehensive list of available plugins can be found on plugins.geany.org. Geany is Good Ol' Fashioned Free Software. Using the GPL v2 license, Geany assures that not only can you customize and hack it, but that everyone benefits from changes the community makes. Geany has a vibrant community of professionals and hobbyists alike that contribute improvements and fixes across numerous platforms. Follow us on Github and/or fork the Geany repository. If you have a problem, a question or anything else to talk about, join our IRC channel #geany on chat.freenode.net. Follow us on Sourceforge and/or report bugs and features. 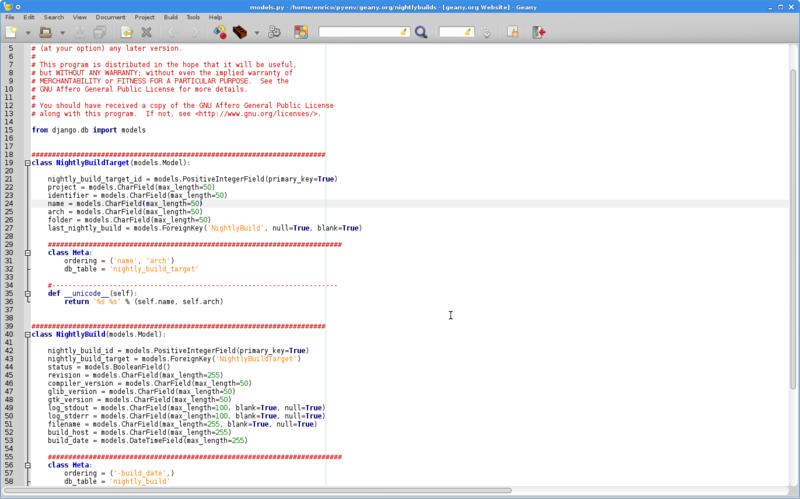 Archive containing the full source code to build Geany yourself.